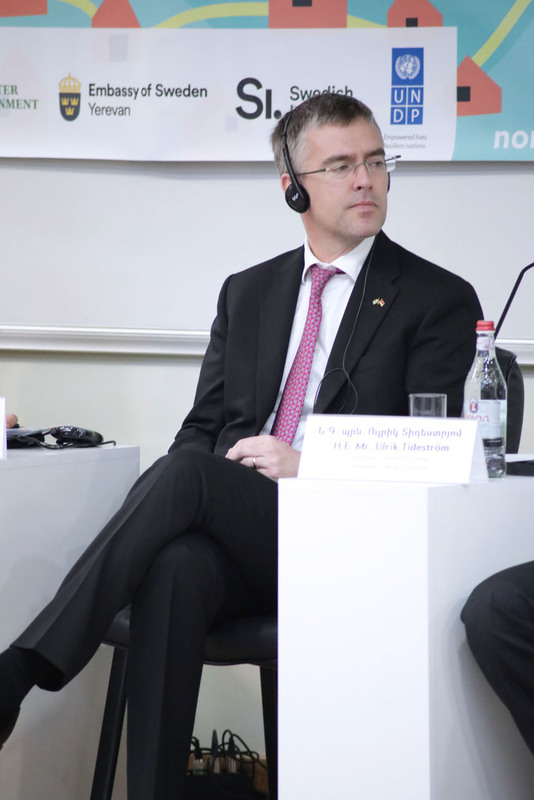 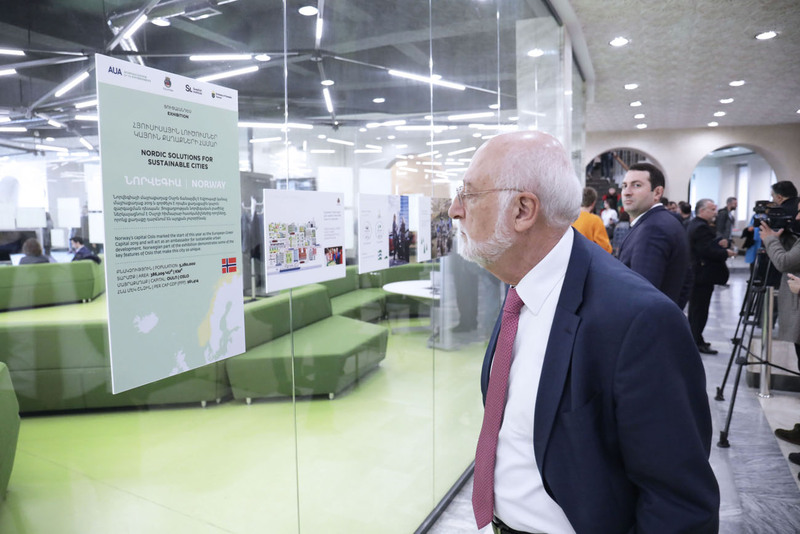 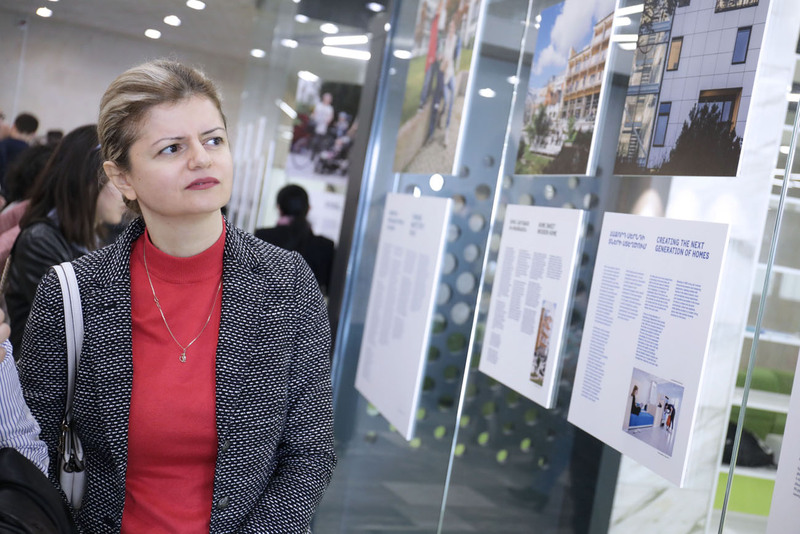 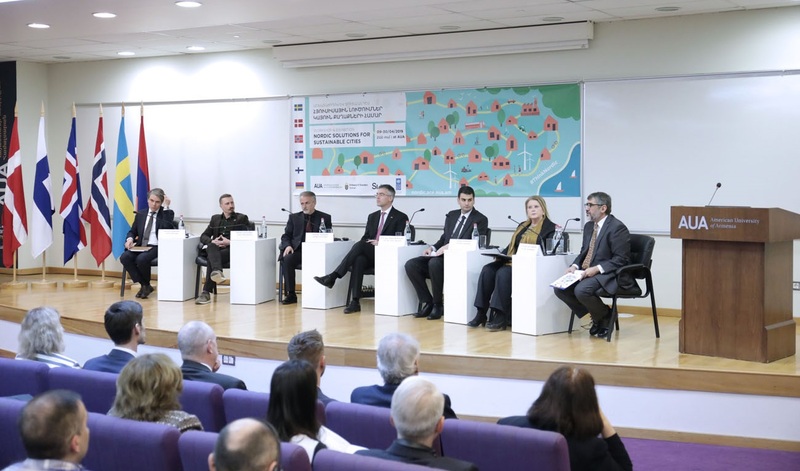 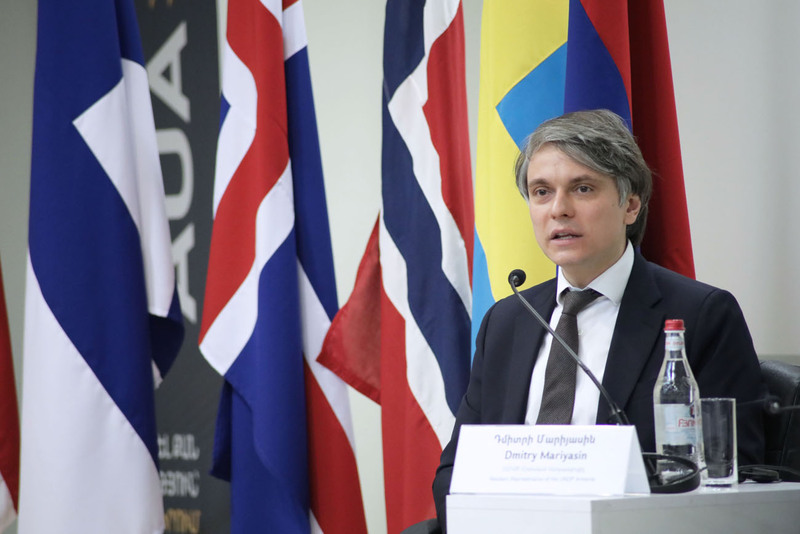 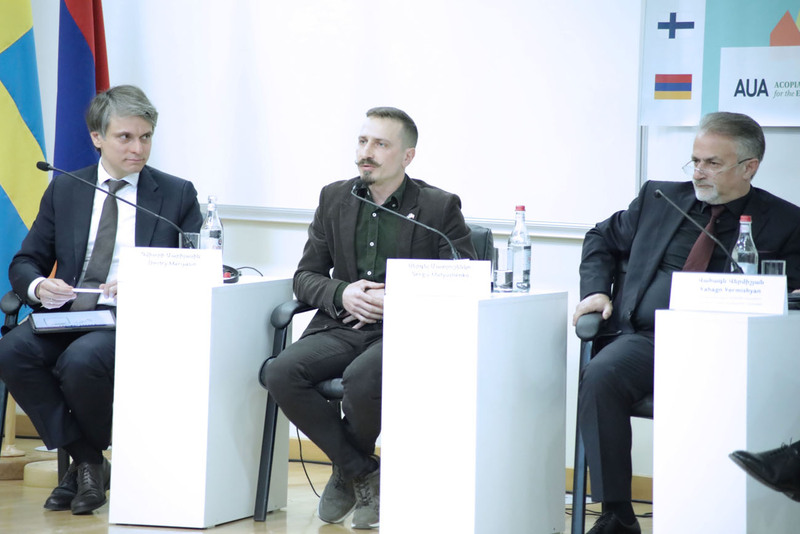 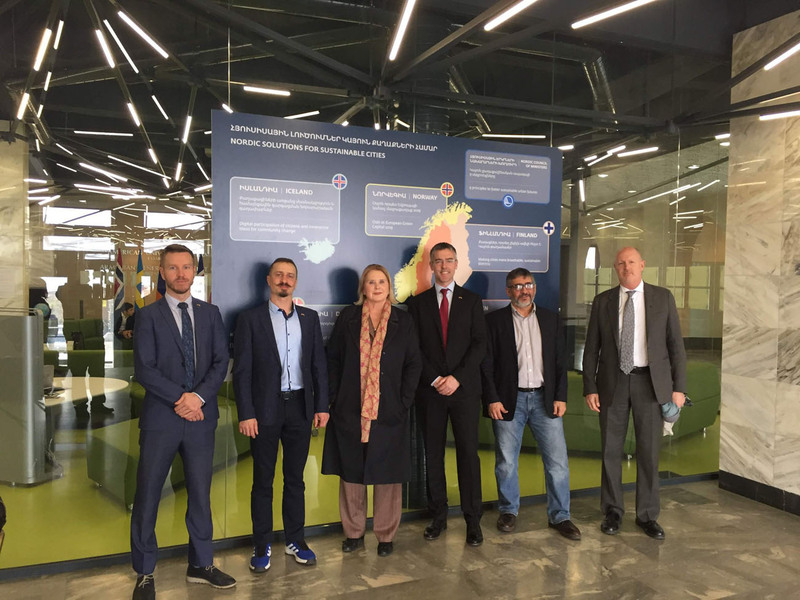 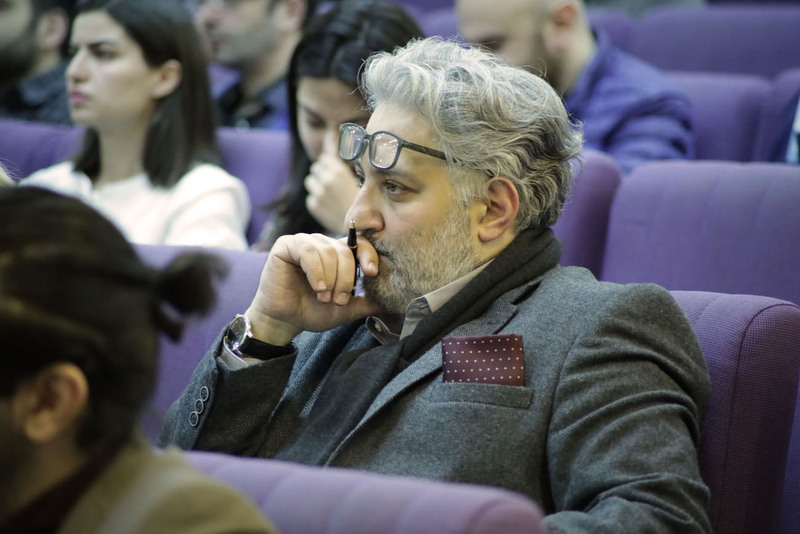 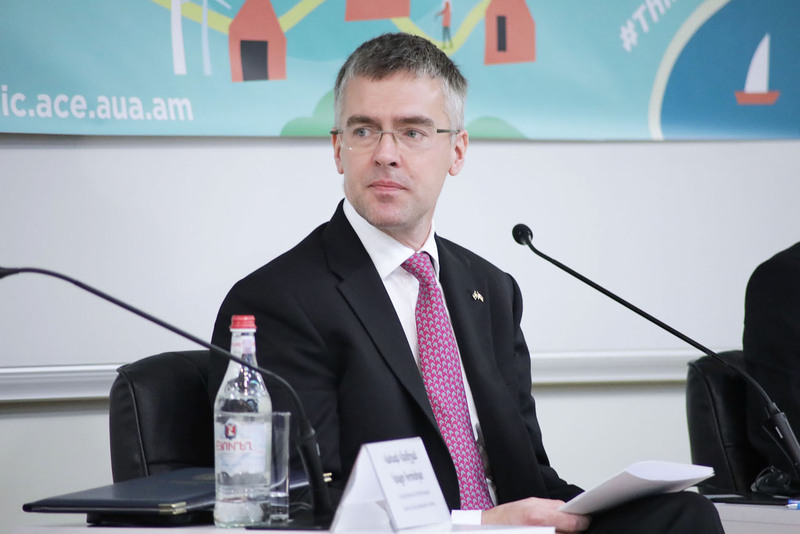 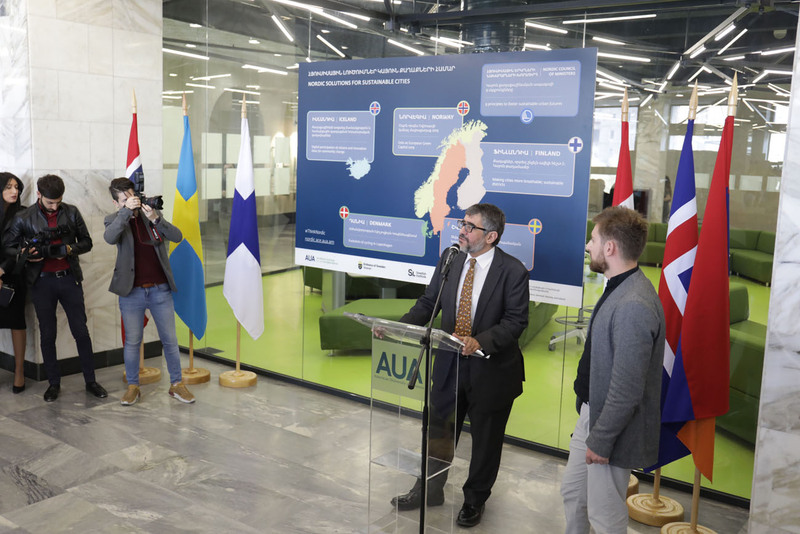 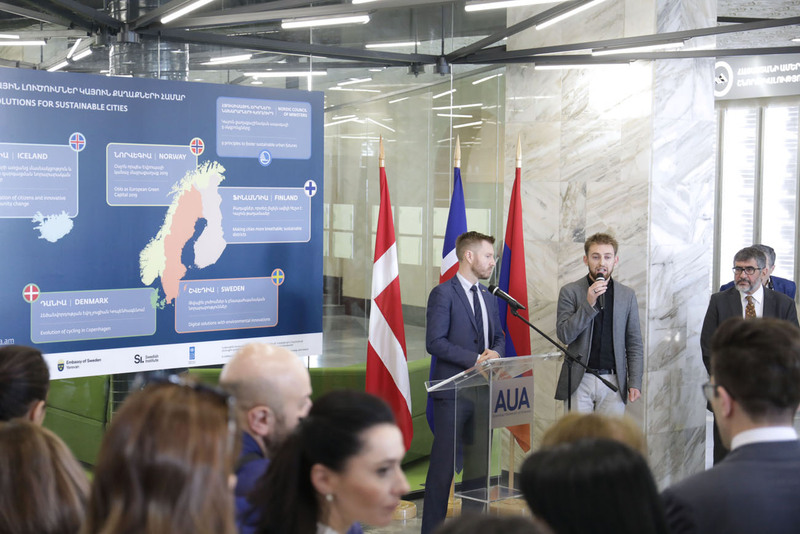 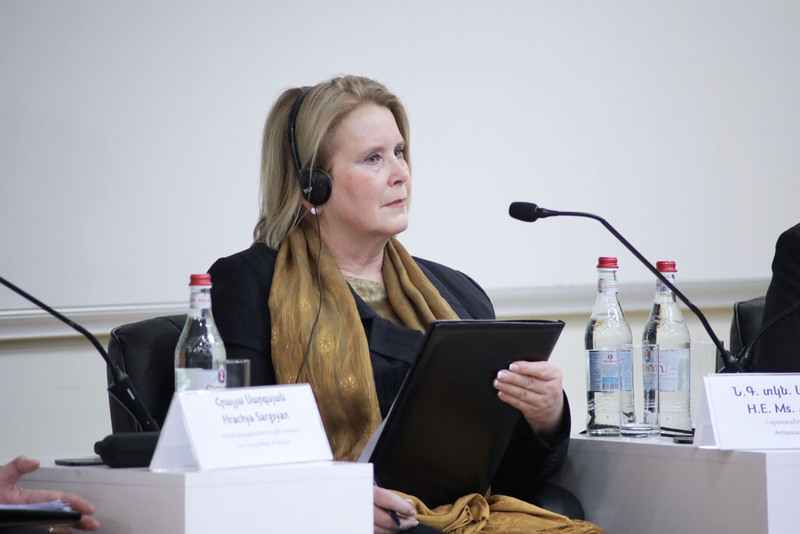 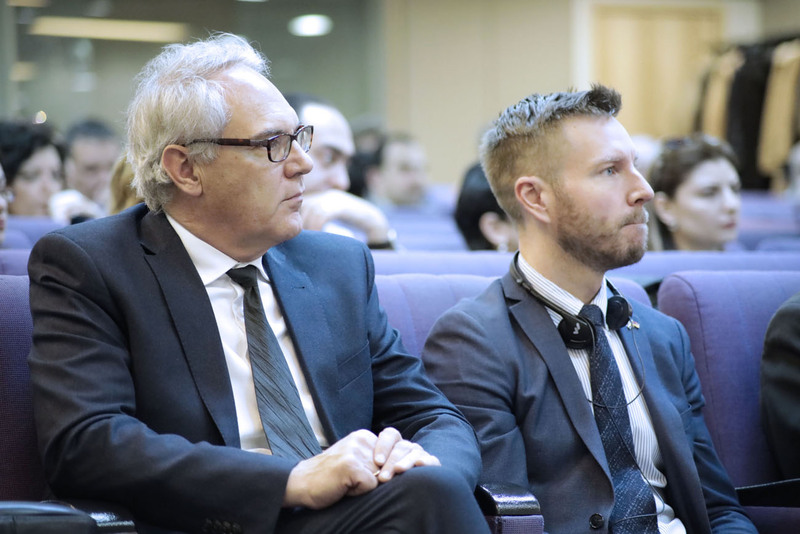 YEREVAN, Armenia – On April 9, the Nordic Solutions for Sustainable Cities, a workshop and exhibition, was hosted at the American University of Armenia (AUA). 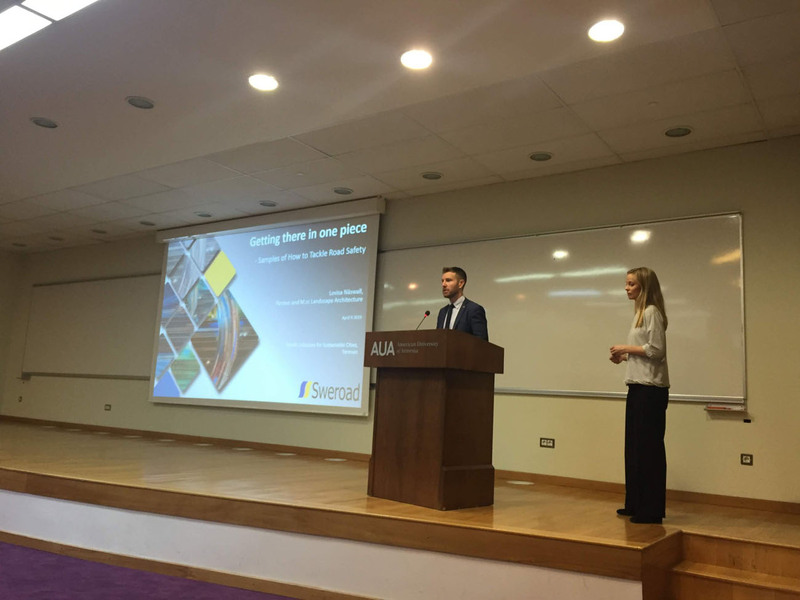 The workshop brought together national and municipal government officials, civil society members, international organizations, and experts in urban planning and environmental protection. 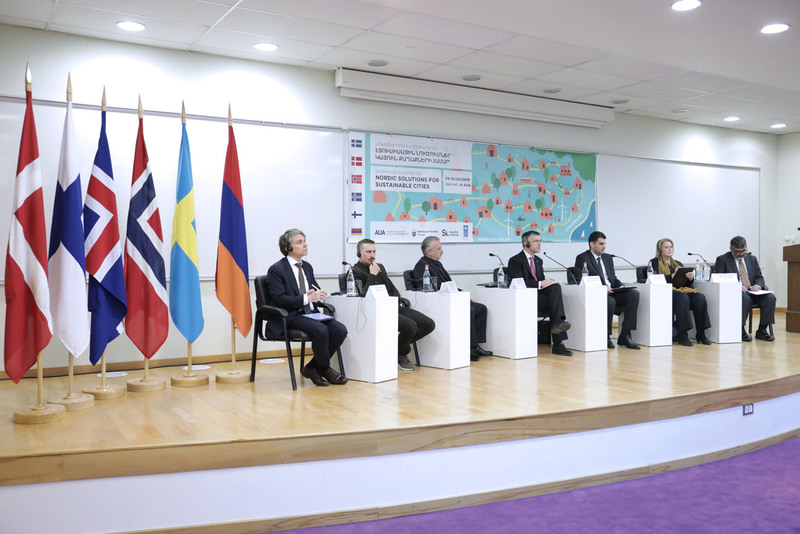 Core to the discussion was how Yerevan and other Armenian cities can become more environmentally friendly and sustainable based on the experiences of the five Nordic countries: Sweden, Denmark, Norway, Finland, and Iceland. 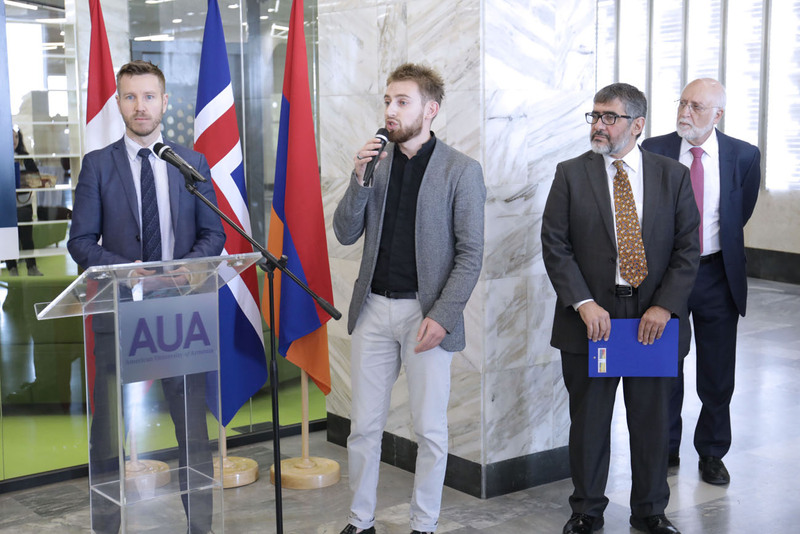 The event was organized by the AUA Acopian Center for the Environment along with the Embassy of Sweden in Yerevan. 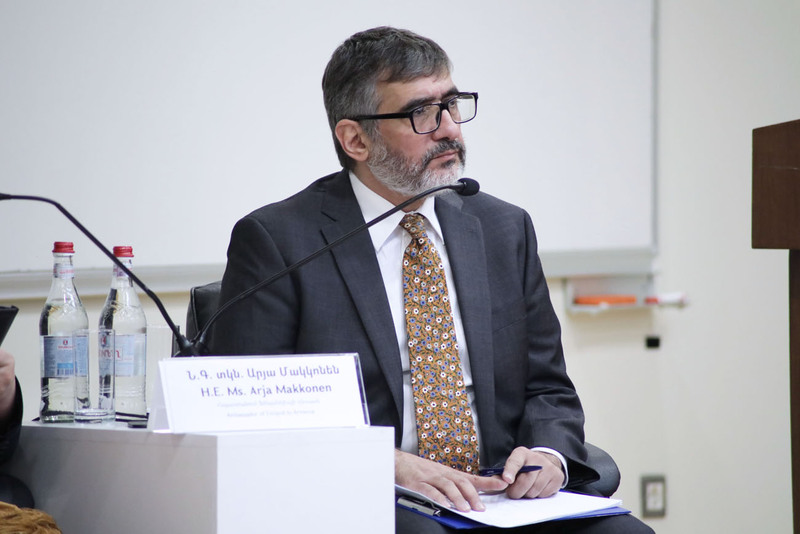 Financial support was provided by the Swedish Institute. 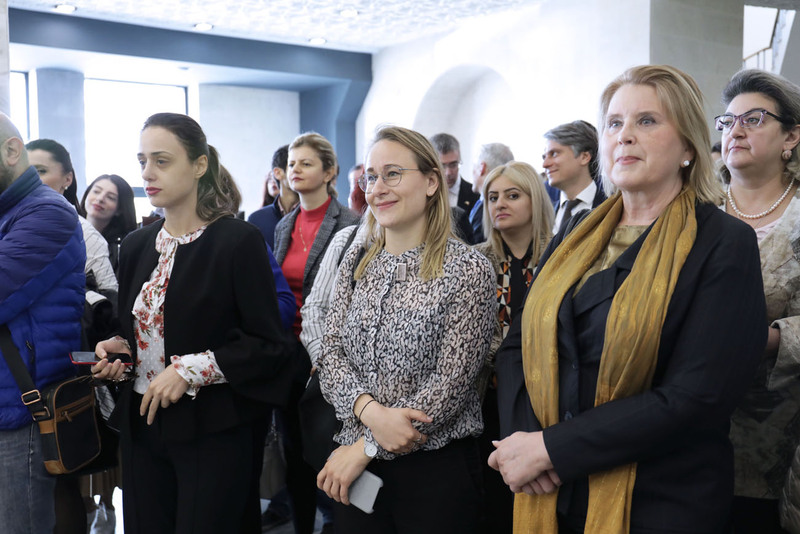 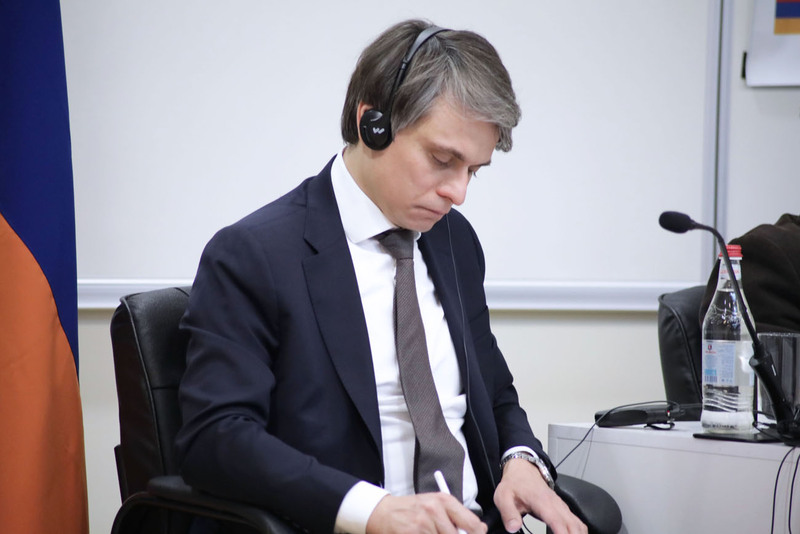 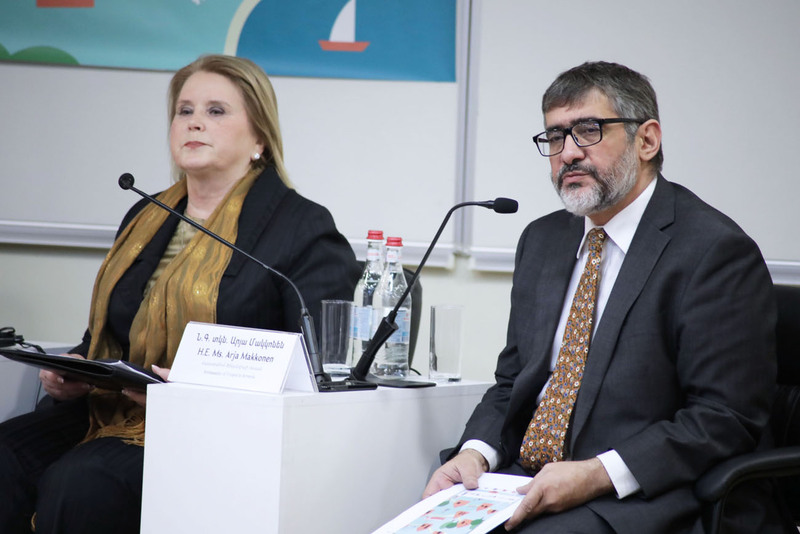 In addition, the United Nations Development Programme (UNDP) and diplomatic representatives of other Nordic countries collaborated on the initiative. 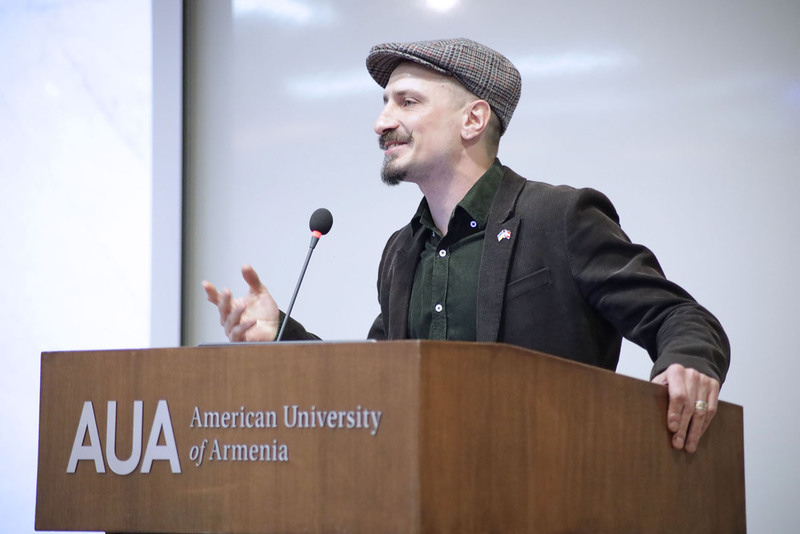 The event began with a panel discussion moderated by Alen Amirkhanian, Director of the AUA Acopian Center for the Environment. 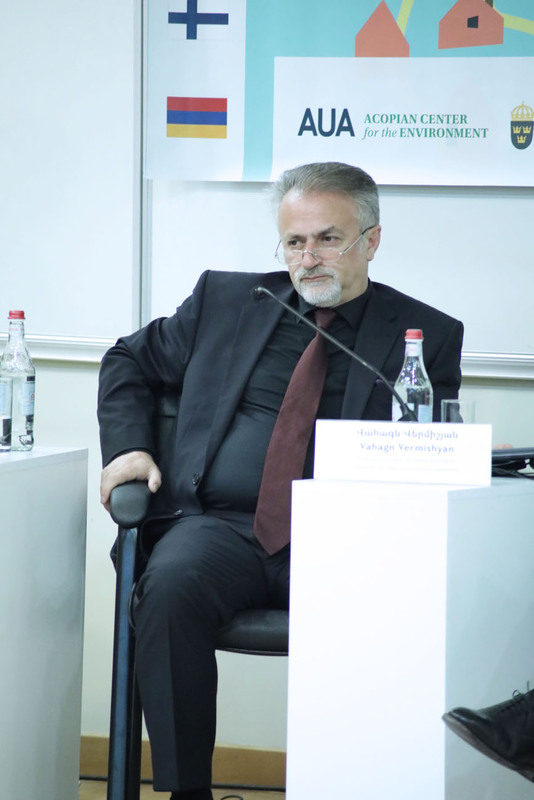 Panelists included Hrachya Sargsyan, First Deputy Mayor of Yerevan, Vahan Vermishyan, Chairman of the Urban Development Committee of Armenia, Dmitry Mariyasin, Resident Representative of UNDP in Armenia, Sergiy Matyushenko, a representative of the Ministry of Foreign Affairs of Denmark, Arya Makkonen, Ambassador of Finland to Armenia, and Ambassador Tideström. 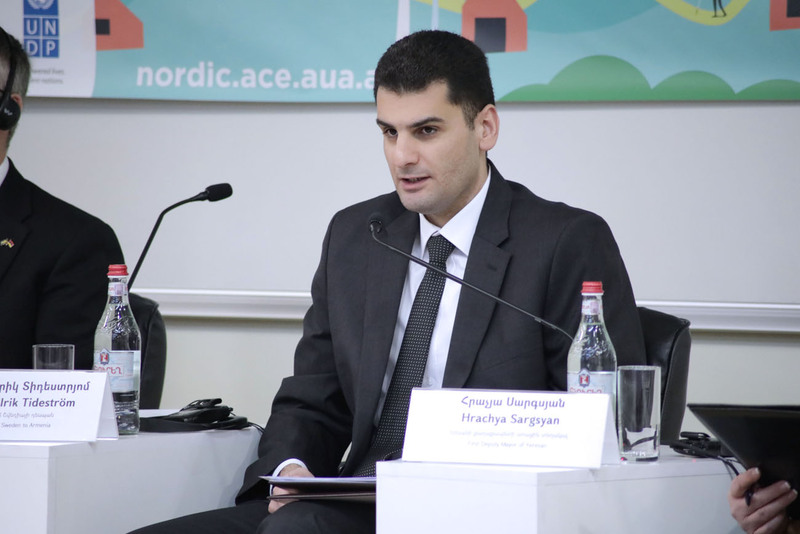 In his remarks, First Deputy Mayor Sargsyan stressed Yerevan’s commitment to reforms. 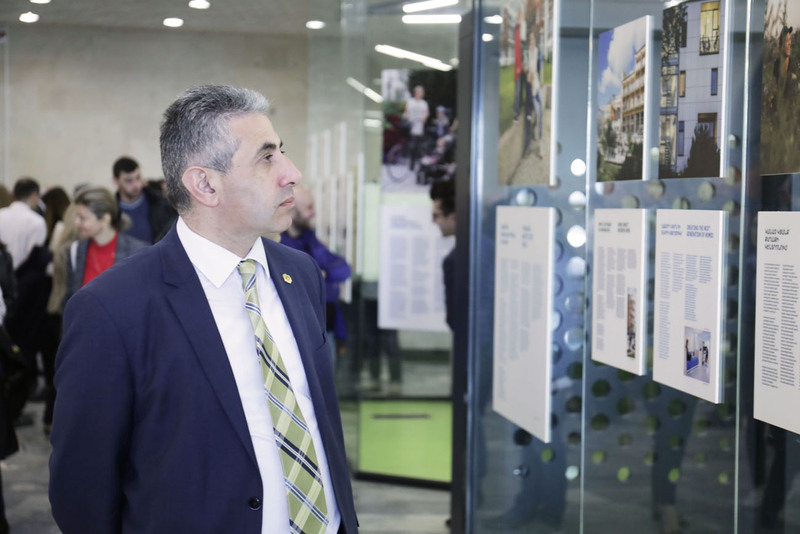 He discussed several initiatives underway or slated to begin soon, including a redesign of the city’s bus system, greater urban greening, and a GIS landscaping map. 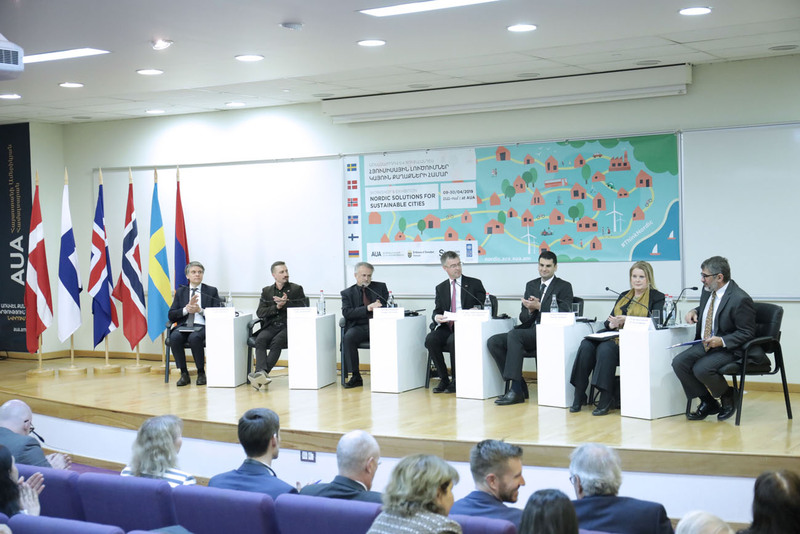 In addition to the panel discussion, three experts on urban development and management showcased solutions in Nordic cities. 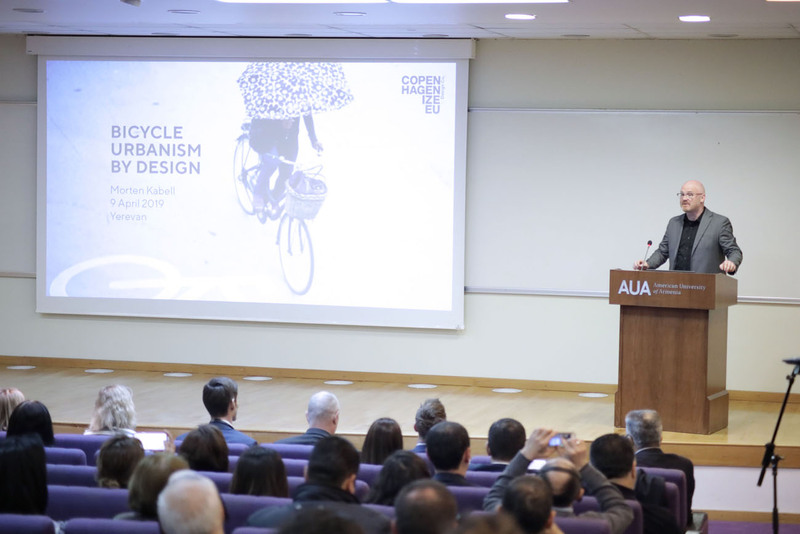 The first expert, Morten Kabell, former Mayor for Urban Planning, Transport, and the Environment of Copenhagen, discussed the history of bicycling in Copenhagen and its benefits. 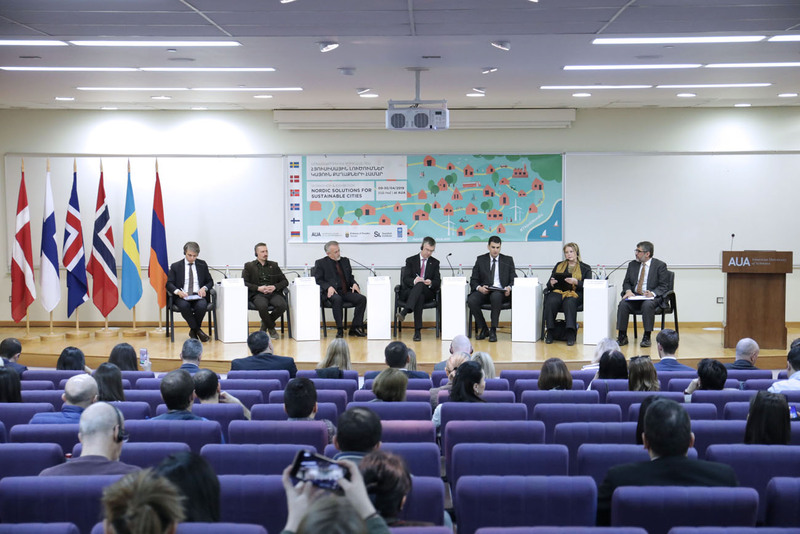 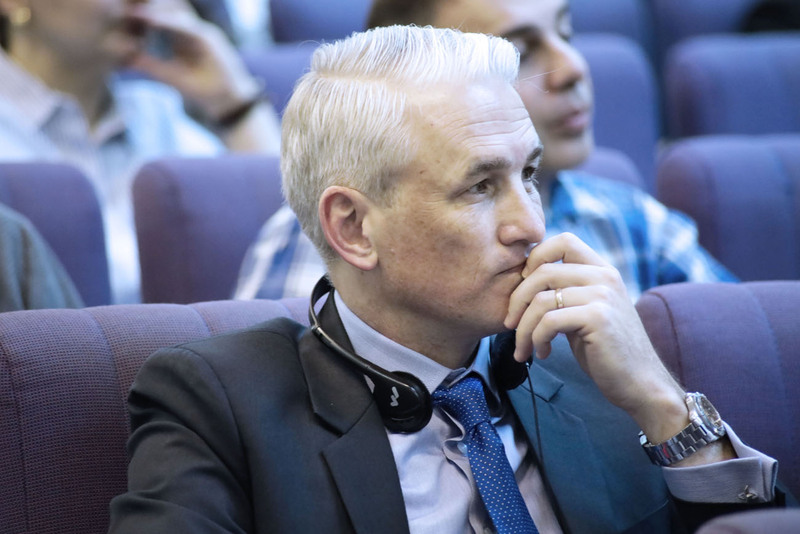 He shared the international experience of similar solutions and possibilities that a city like Yerevan can adopt. 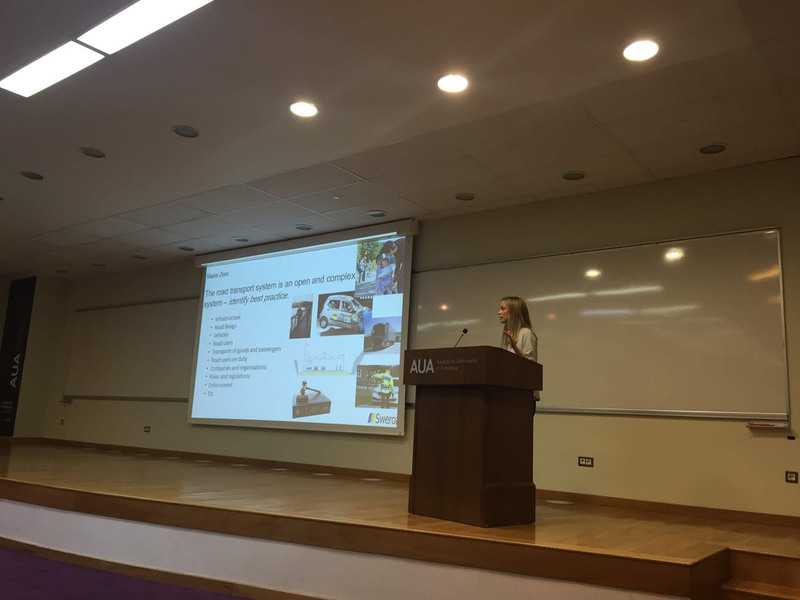 The second expert, Lovisa Näswall, landscape architect for Treeline Consulting and SweRoad, focused on ways to design roads and traffic to increase safety. 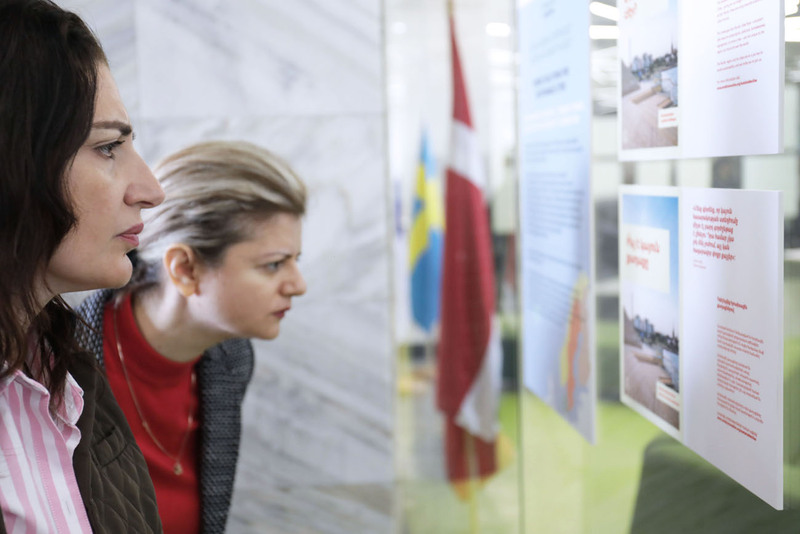 She discussed the urban design and management innovations that have resulted from Sweden’s adoption of Vision Zero, a vision that aspires to have zero casualties from traffic accidents. 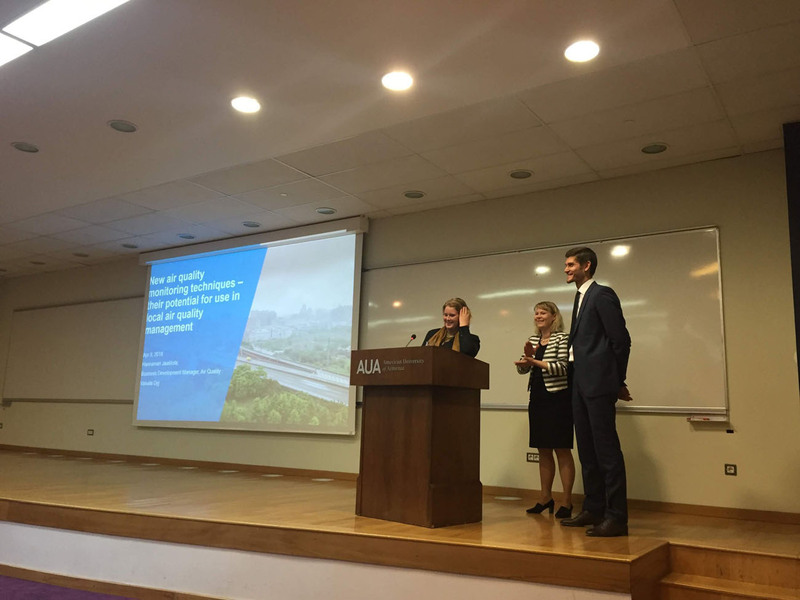 The third expert, Hannamari Jaakkola, joined by her colleague Dmitri Kramarenko, presented the Finnish experience in air quality management, especially in urban environments. 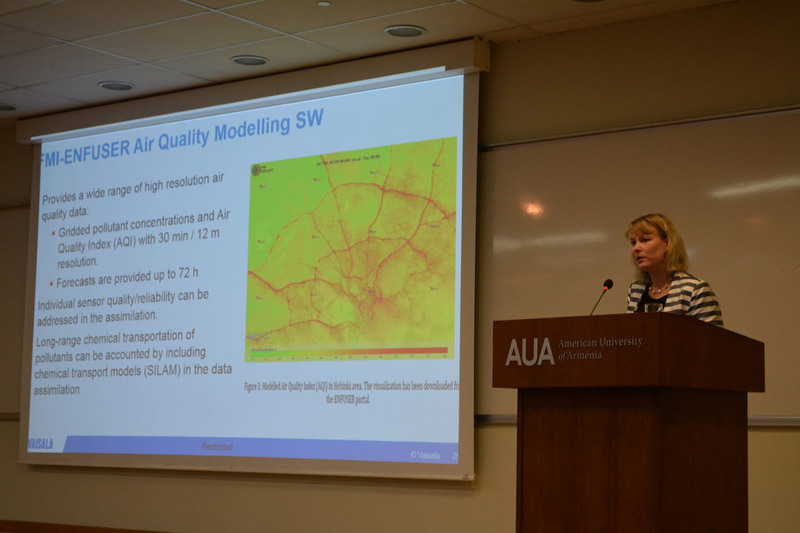 Being representatives of Vaisala, a globally recognized Finnish company that offers air quality management solutions, they discussed the latest developments and technologies in measuring and managing urban air quality. 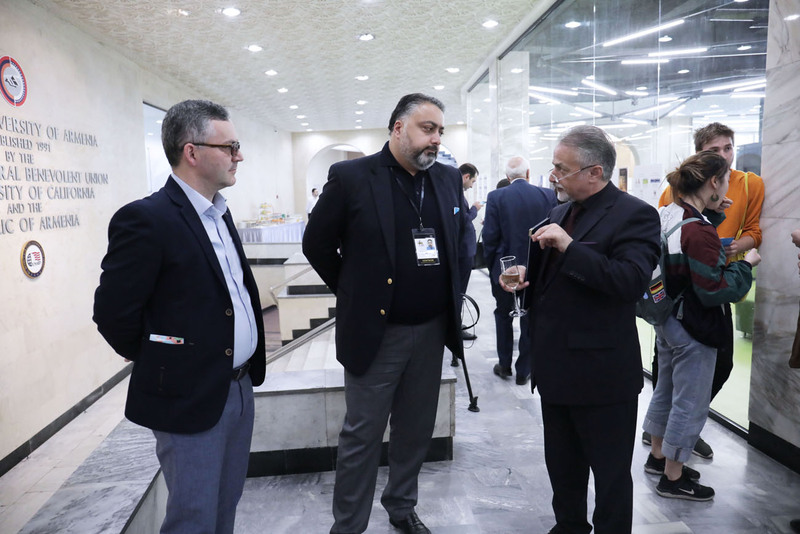 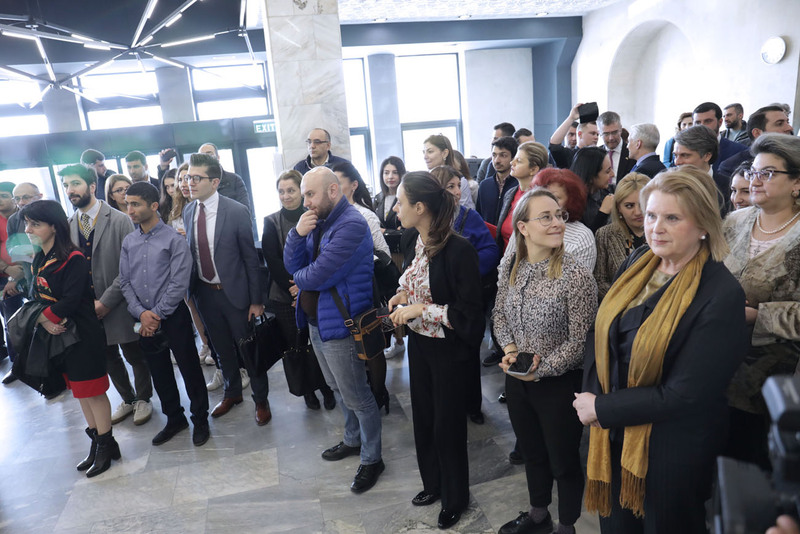 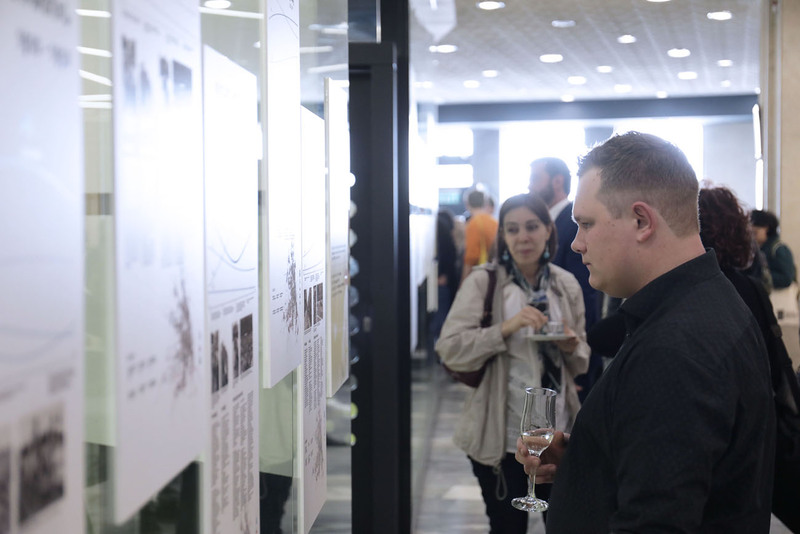 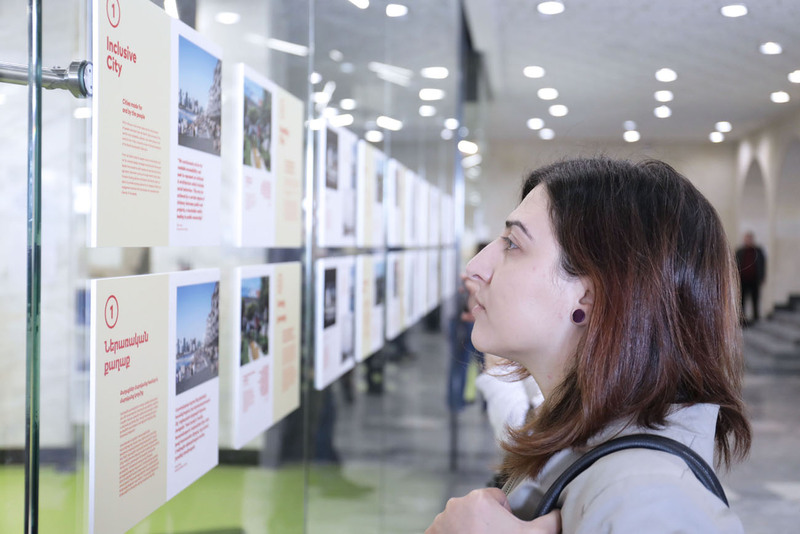 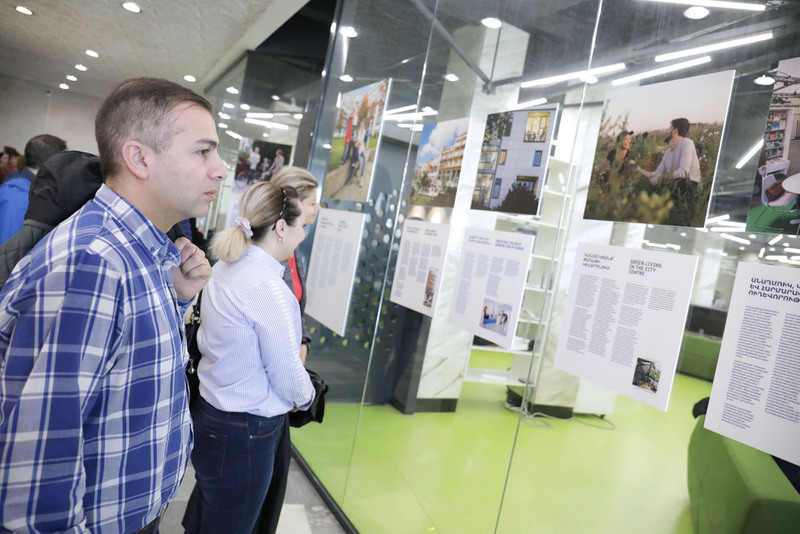 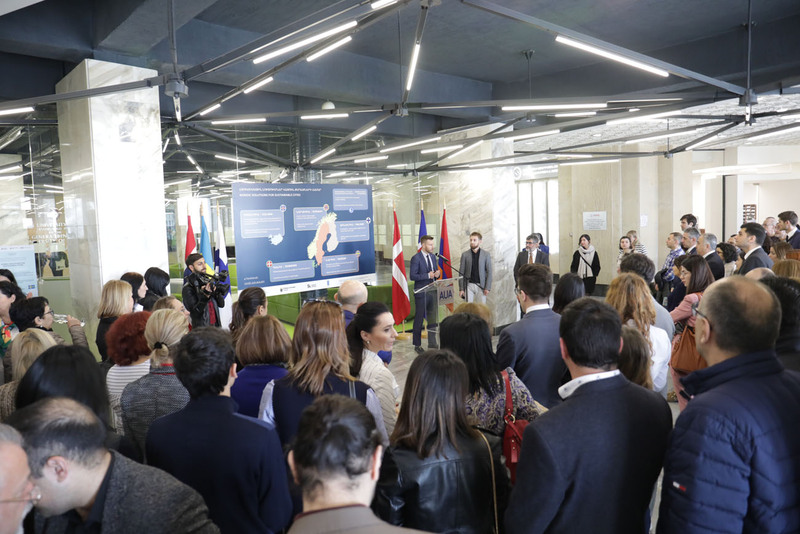 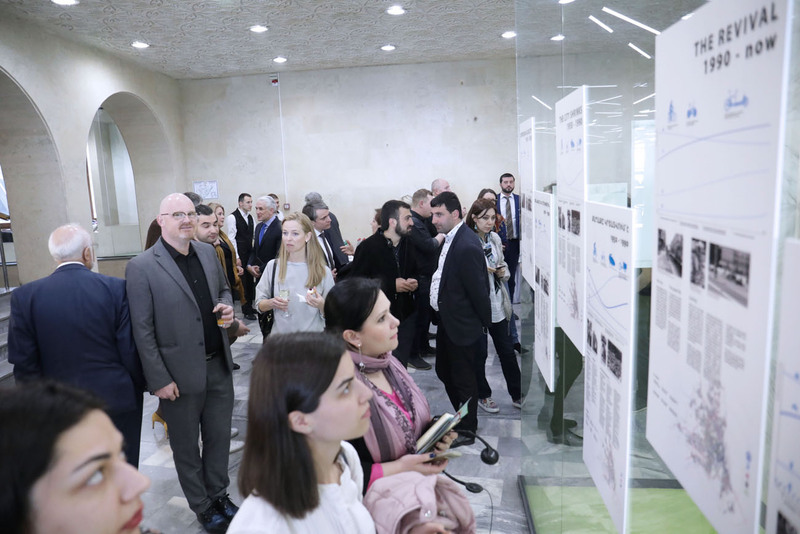 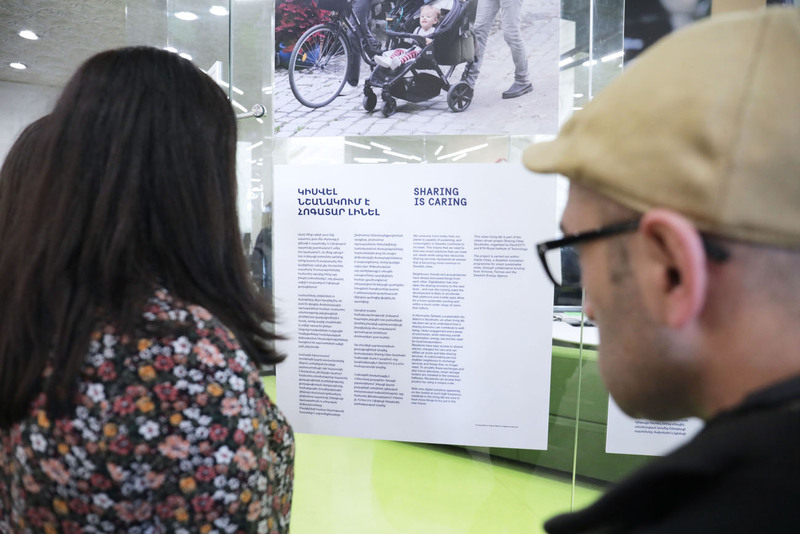 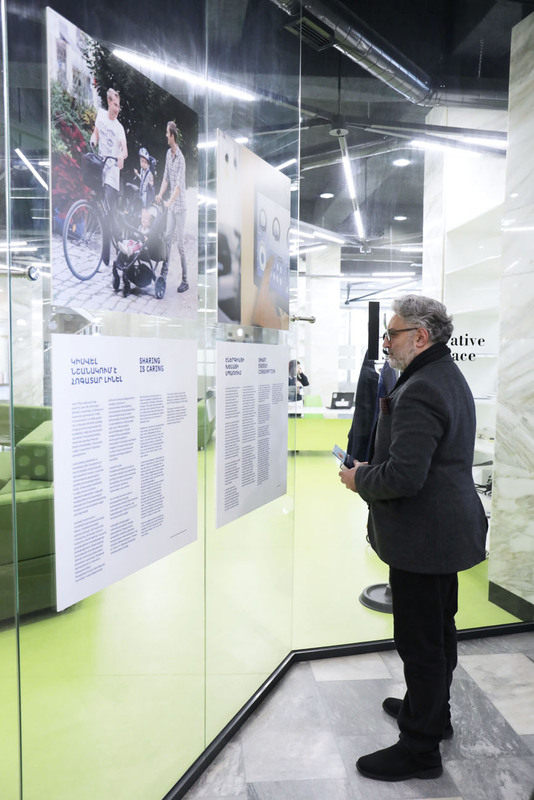 During the day, attendees also participated in the opening of the exhibition, currently on display in the lobby of AUA’s main building until April 30. 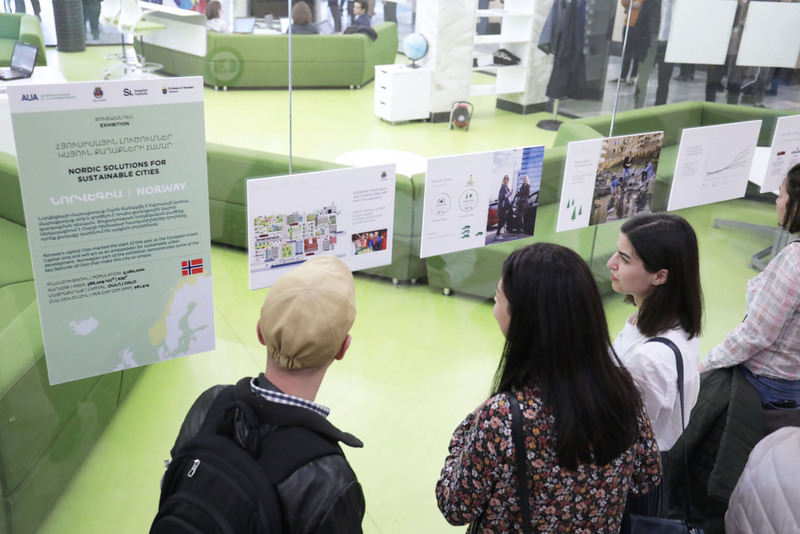 It features urban planning innovations from the five Nordic countries on transportation, waste and water management, energy, green space, and biodiversity. 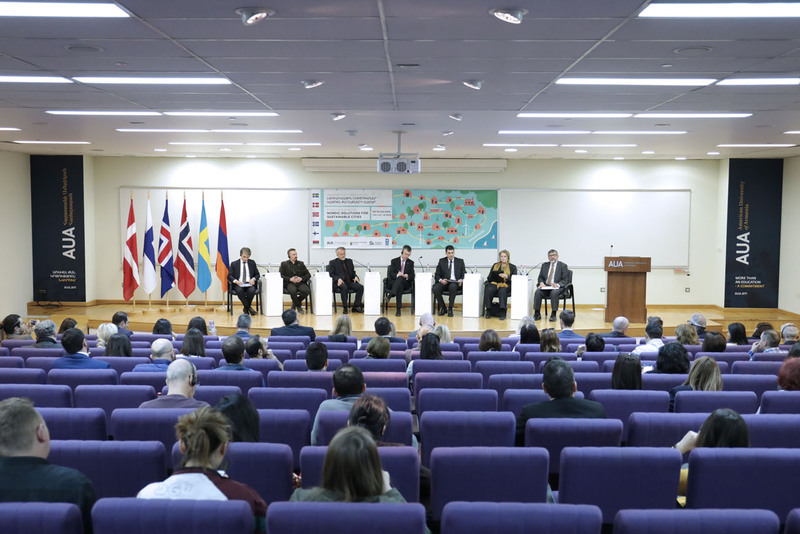 Each of the five Nordic countries has a dedicated section for their solutions. 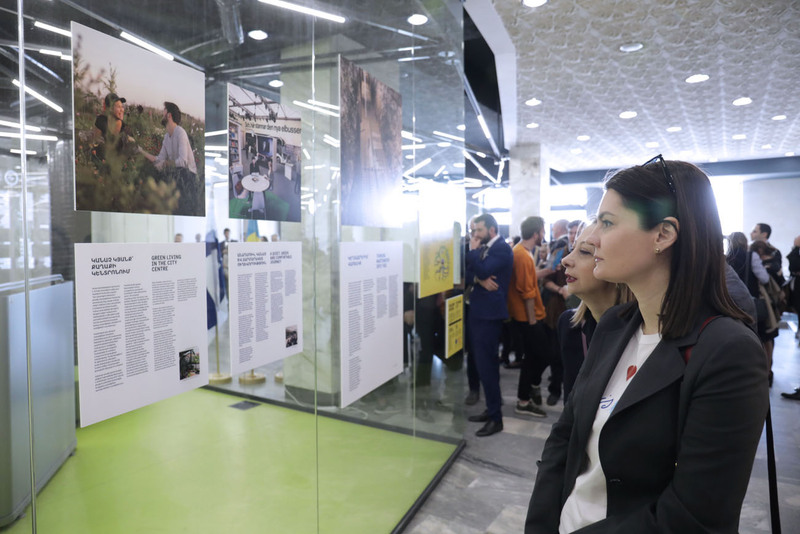 There is also a section on the nine principles for sustainable urban futures used by the Nordic Council of Ministers, the official inter-governmental body for cooperation in the region.